Have you ever wondered about your mental health, or the mental health of a loved one? Feel stressed, depressed, confused, anxious, burned out? Visit this amazing site that offers psychological testing for just about everything . Julie Fast has made it her mission to educate the general public since receiving her diagnosis of Bipolar Disorder. Her books, health cards, and web log are invaluable if you or someone you know is living with the disorder. Dianne Schwartz, the survivor of an abusive marriage, is the founder and president of Educating Against Domestic Violence (EADV), a nonprofit organization providing assistance to battered persons. Her site offers a message board, information about her book, a free newsletter, among other things. Filmmaker Angela Shelton went Searching for Angela Shelton and discovered that more than half of the other Angela Sheltons in America, like herself, had been raped, beaten or molested. The movie brings hope to a horrible subject and has started a movement of healing for survivors of trauma. The Anxiety Disorders Association of America- This non-profit organization is dedicated to informing the public, healthcare professional. And legislators that anxiety disorders are real, serious, and treatable. National Anxiety Foundation-This foundation offers aid to people who suffer from Panic Attacks, Anxiety Disorders, and Obsessive Compulsive Disorder. National Alliance for the Mentally Ill- This non-profit is a self-help, support, and advocacy organization. National Depressive and Manic-Depressive Association. The mission of this association is to educate all people about the nature of depressive and manic-depressive illnesses as treatable diseases. Visit this site if you or a loved one is suffering from a drinking problem. Alcoholics Anonymous� is a fellowship of men and women who share their experience, strength and hope with each other that they may solve their common problem and help others to recover from alcoholism. Visit this site if your life is affected by someone's drinking. Teen Drug Abuse: Information and resources for Parents about the teen drug abuse problem in America. Ginnie Mesibov is the author of Outer Strength, Inner Strength: Weekly Messages for Today's Woman. Click on Today's Message for a message of empowerment and encouragement for your spiritual journey. You will read that the challenges facing you may be many, but your God-given strengths and skills will enable you to cope in today's world. Clarocet is an informational resource for adults and parents. Topics covered include anxiety, depression, stress, etc. They have alternative medication clinical studies and resource links to other web resources. Also, we sell 5 alternative medicine products. Susan Maree Jeavons offers articles, commentary, poetry, resources and support for adult survivors of child abuse. When Your Perfect Partner Goes Perfectly Wrong - Learn to recognize narcissistic, difficult, and controlling people in your life and take your personal power back, whether they are your spouse, business partner, friend, boss, or parent. http://www.SerendipitysGarden.com Visit for a Celebration of Abundant Living: Body, Mind and Spirit -- and subscribe to our delightful FREE bi-weekly assortment of tasty tidbits to tickle your senses, stimulate your curiosity, and awaken your soul. Expand your life with joy and appreciation of the wonder that is YOU! IQ Tests & Personality Tests - quick, fun, accurate! Great site to browse and discover yourself. POWERFUL TOOLS FOR POSITIVE LIVING! Joyologist and Success Coach offers support for wonderful women like you! Visit our website and receive a FREE one-hour Success Coaching session, the free "Tools For Positive Living" newsletter and free "Virtual Moment of Joy" eblurb. Our innovative company, HAPPINESS IS...provides Personal & Business Success Coaching worldwide, Laughter, Humor & Stress Reduction Programs, entertaining, enriching speeches for groups and companies, assists in creating joyful corporate culture to improve employee morale and staff training. The site offers excellent advice for adult survivors of child abuse, trauma and recovery. Phenomenal site that offers direction for recovery from alcohol or drug abuse. They also offer an assortment of resources for mental health issues. Think Without Boundaries - Wendy McClelland's site contains tips, ideas, articles and motivation to inspire women in their business and personal lives. Site is owned by Certified Guerrilla Marketing Coach and nominee for Canadian Entrepreneur of the Year. 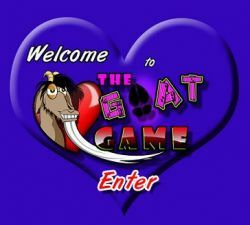 The Goat Game is not only fun...it's therapeutic for women who struggle in relationships. This game is used in psychotherapist's offices and now all of us get help in our own living rooms through the use of this "reality therapy" game. The perfect tool for women who are ready to break the cycle of dysfunction relationships. It's never too late to get it right! Coach Jodi Hume offers you "The Life You Want". Sign up for a thought provoking and inspirational brief weekly e-zine the helps you create The Life You Want. Ask about personal coaching to help you navigate towards creating what you want for yourself. http://www.straightspouse.org There are over two million straight spouses in the US. This issue affects many women after years of marriage. My friends didn't know how to help me but then I found this group. I think Boomer Women should share good resources with each other. This is a great resource for folks facing this difficult situation. Helping women cope with the spiritual, emotional and practical challenges of caring for aging parents. Free monthly tips. A helpful resource on depression for adults, teens and children which include depression support and treatment. "Minding Our Elders: Caregivers Share Their Personal Stories" is a portable support group. Twenty-six stories tell of the struggles and joy of ushering our elders through the final stage of life. Each story is self-contained, so the reader can tuck away the story or stories that they relate to the most, and use them for support when the need arises. 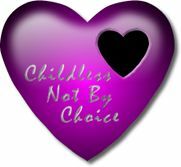 For ALL ages~mutual support for those who do not have children NOT by your own choosing. Whether it's health related, spouse does not want any (or more) or any other situation. This is finally the place for which you've been looking. Where you ARE understood and not alone! Award-winning author, psychotherapist and coach provides resources and services to help women increase their confidence, restore self esteem, and improve their relationships with themselves, others and God.